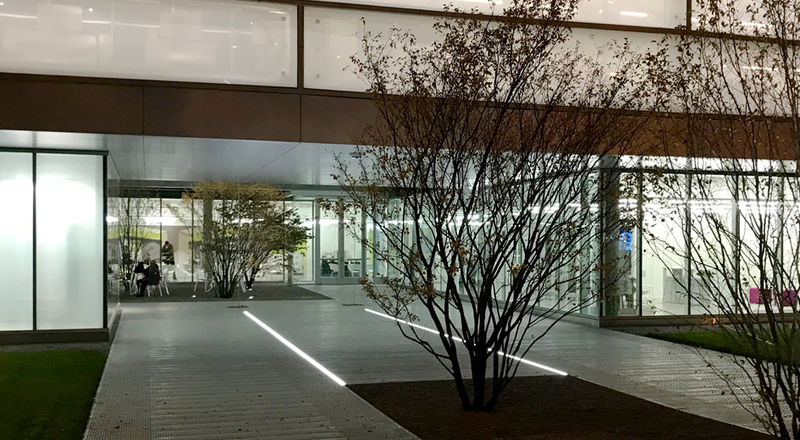 Illinois Institute of Technology’s (IIT’s) Ed Kaplan Family Institute of Innovation and Tech Entrepreneurship building creates a hub for innovative thinking where new ideas can be turned into products and processes. 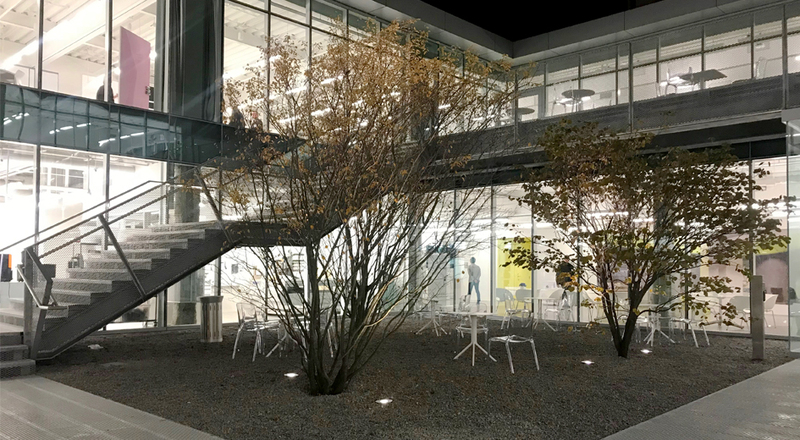 The process of designing a sustainable landscape for the innovation center involved creating multi-functional landscape spaces for a diverse set of design students. 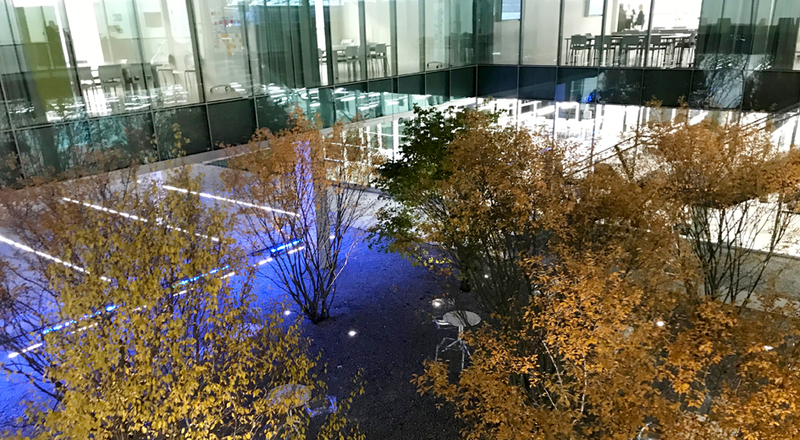 The project required a high degree of team coordination between the landscape architecture, civil engineering, and architecture offices to create two open-air courtyards that serve as an outdoor extension of the building’s classrooms and collaborative hubs and for day-to-day student activity. 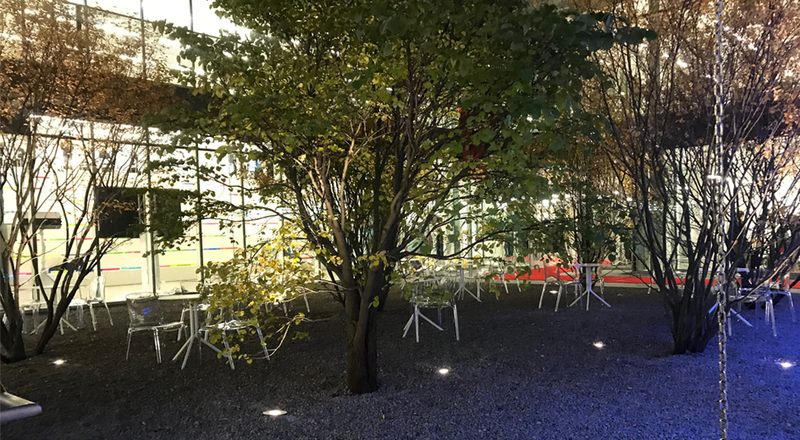 These courtyard spaces filled with trees are integrated into the interior layout of the architecture. 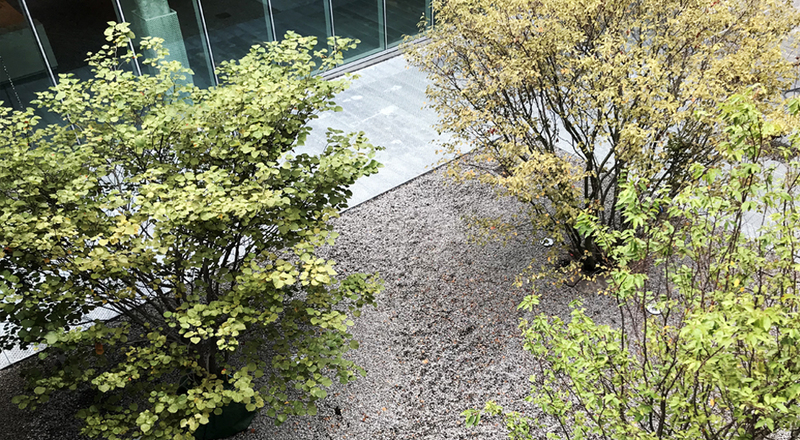 Landscape processes are visible and accessible in these spaces where stomwater run-off from the building is used as a spectacle using chains as downspouts, as well as for landscape function supplying water to the trees. 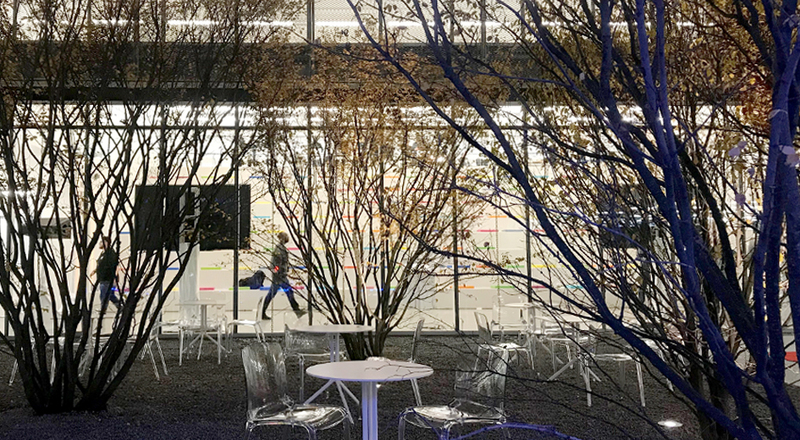 TGDA coordinated closely with the architect using color, smell, and texture from the plant material to dictate the environment of the indoor spaces - creating a sensory experience. 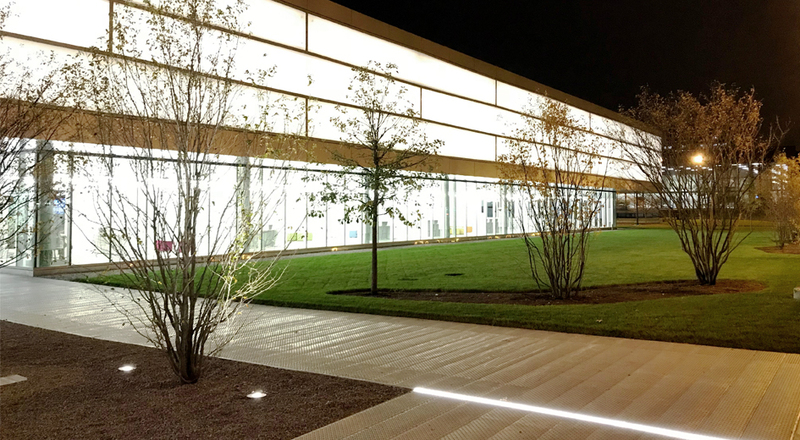 The work included an evaluation of the project’s surrounding green spaces, campus connectivity, and the construction of the building where the design is highly influenced by the existing campus landscape. This included researching Alfred Caldwell’s original intent for this portion of the IIT Campus. 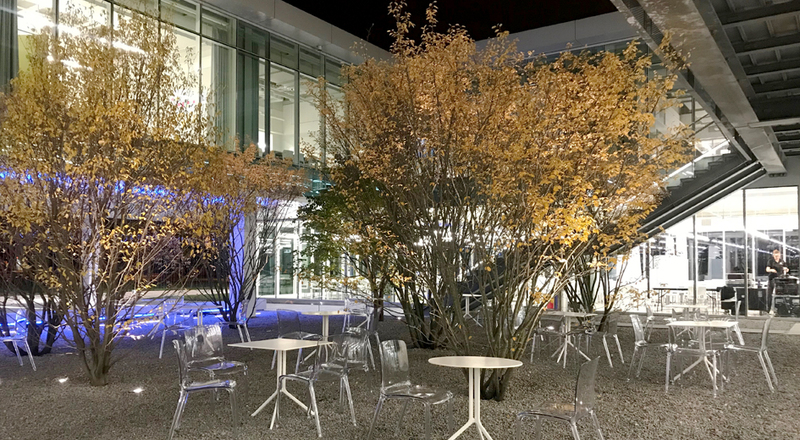 This landscape is highly aesthetic as well as highly functional, providing inspiring spaces and moments to learn and innovate.